Continuing our Special Request Intensives, we present a series focusing upon chart interpretation. Each month will review core methods and put them to use. 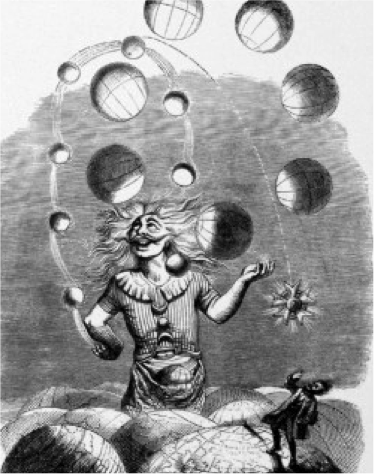 This final intensive for 2013 will tackle the fascinating subject of forecasting with astrology. Starting with the birth chart, we make further observations of ongoing planetary movement. These can include the real motion of transits, the symbolic motion of directions and progressions, solar returns and calculated planetary periods. The mix of these techniques can be confusing. But the ancient astrologer always used a kitbag of methods rather than just one or two, in the aim of being confident in their judgement. No single method alone was considered to deliver a good result. This month, at popular request, we revisit an ancient method of prediction – Primary Directions. This heritage technique can be used easily and effectively, once the basic concepts and method is grasped. Based on the dynamism of the daily turning of our planet Earth, it is most personalised to any particular time and place. Primary Directions very much relate to the Art of having read what is already promised in the birth chart. We are reminded, that in terms of horoscopy, fate and fortune are ultimately spun by the Earth. Astrological Lots hark from mysterious antiquitous roots. The oldest relating to each of the seven classical planets, are associated with the legendary wisdom figure of Hermes Trismegistus – hence the title ‘Hermetic Lots’. Most crucial were the Lot of the Moon (Fortuna) and that of the Sun (Spirit), but there is a the Lot of Mercury, Venus, Mars, and so on. This Intensive introduces and reviews a code known as Sect which seemed a given to the ancients, where an elegant doctrine classed a chart as being of the night or day. Many of the old texts reflect that any astrologer would have a baseline understanding of this knowledge, allowing a doorway to delineation. Sect could identify important planets, profoundly affect their symbolism, and was a touchstone for further interpretation. It is clear that both shadow and light coexist and astrology’s heritage has always openly acknowledged this fundamental truth. Therefore certain planets, chart places, and aspects were called ‘benefic’ or ‘malefic’. This intensive aims to dispel any misconceptions and demystify what these ancient labels really mean. In astrological tradition the ascendant has been a significant, if not the most significant, birthchart point. It is truly the most personally specific, of all, to the individual time, date, and place of birth. The ancient astrological idea of the soul equated to the ‘psychological mind’ – that is, mental disposition and prime needs. Mercury and the Moon were recognised as principal symbols of this, showing an essential thinking/ feeling interface upon which the individual personality took form. In terms of the Soul’s Descent, these two fastest moving and highly variable bodies are closest to Earth. This Intensive examines the profoundly fascinating idea of the Guiding Spirit as represented by a uniquely empow- ered planet in a chart (sometimes more than one). This can provide clues to exclusive virtues to cultivate and where one is likely to get the most out of natal promise. Temperament was an ancient key to personality and physical well-being, and has also been recognised in modern complementary medicine and psychology. In being so fundamental it has been referred to as the ‘cloth from which one is cut’.